I love this time of year because we seem to have lots of Bank Holidays which means more time at home and the possibility of a lie-in (who am I kidding). I also truly believe that a three-day weekend should be standard. Sometimes we plan in advance what we want to do. Whether it’s a nice day out somewhere or just a lazy chilled weekend at home, and sometimes we just have wait it out to see what the weather is like before making any decisions; praying it’s not going to rain and that elusive English sunshine may just make an appearance – fingers crossed! 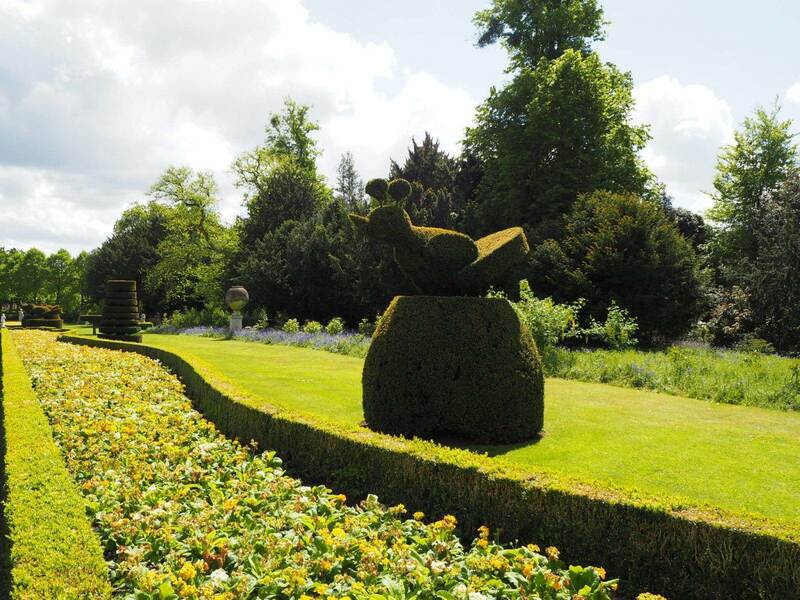 This next bank holiday I am really hoping for good weather – you may even catch me doing a little sun-dance in the garden! As a family we’ve recently been trying to do more ‘outdoorsy’ activities and it’s been really good fun – plus it’s far healthier to be a little active right? Some of these days out have been a little pricey, but some not so. And if you’re anything like me, and start to think… But what can we DO? Where can we GO? And… How MUCH is this all going to cost us? then hopefully this post will give you a little inspiration for something to do. This is what usually happens with us…every flipping time…you ready? We can’t surely be the only family who’s conversations start like this? Please tell me not!! Now I appreciate everyone has a different budget so I’ve tried to include activities that vary in price too. Plus, I don’t think that you should have to spend an entire month budgeting for a bank holiday and the pressure to come up with something to do can be super annoying. So, with that in mind here’s my ‘Don’t break the bank holiday’ post with suggestions and ideas of what to do. Hopefully at least one will take your fancy. Also, for those of you with older children like us – how much more difficult is it to entertain them now?! They don’t love the farm anymore, the excitement of a trip to park with the prospect of being attacked by the geese is no longer on the list and soft play centres – a total no-no! Go to the beach – now I know this is an obvious one and everyone thinks of this at the Bank Holiday but we always seem to put if off because it’ll be too busy, or too cold… or too far! But stop. Think about it. Fresh air, sea breeze, sand… chip shop! Plus if you choose to go to Bournemouth you can have a go on the world’s first pier to shore zip line allowing you to soar over the sea and down to the beach. Older kids and adults love this! It costs £18 for a single ride or £32 for a dual ride and the minimum age to take part is 6. Trampolining – and you parents – JOIN IN. I do and it’s so much fun. I promise you won’t be the only parent bouncing…you will enjoy it and your kids will think you’re cool…kind of…maybe! There are so many of these parks around the UK now and if you haven’t yet been you really must! We usually go trampolining in the afternoon just to break up the day a little bit. Do a car boot – no seriously, don’t hate me! I know it involves an early start so any ideas of a lay-in are out, and you need to be organised and all that, but this could be fun and your children get to play shop for the morning! The benefits of doing a car boot are a) – you can all make some cash and b) – you get rid of that crap you didn’t need or want! Host your own film festival – friends, popcorn, snacks and some good films can make for a lovely afternoon or evening. Throw lots of cushions and blankets around, dim the lights and your’re away! This is perfect for rainy day and a great opportunity to introduce your older children to the 80’s classics ‘Ferris Bueller’s Day Off’, ‘Greece’ ‘The Breakfast Club’, ‘Gremlins’. Create a time-capsule – Gather up some of your favourite memories; photos, trinkets, newspaper stories, clothes, postcards, toys, write and seal letters and pop them in a time-capsule (a simple storage box would also be fine). Bury it somewhere close to home or at another family members house, or hide away in the loft. Then agree on a year when it will be opened before you bury it. Will it be in 5 years or even 20? Alphabet photo challenge – I read about this somewhere last week so not my idea – but sounds fun! These days kids have access to cameras – either on their phones or on yours. Digital cameras are perfect for this challenge. Over a period of time, whether it’s on one of your days out or at home, ask the children to photograph something from the entire alphabet. It gets tricky in the X & Z part- but encourage them to be creative and tell them the more random the better! Have a little prize ready for when they manage to complete, and if you have a projector of some sort then have a little slide show and let them talk you through their findings. This could actually be really funny too! My son is a tiny bit bonkers and I can’t wait to see what he comes up with on this one. Make a Den – which I absolutely hate as I’m always the one who has to clear up! Seriously! How unfair is that? Anyway, our children, even at 12, still love to build a den! I don’t think they find anything more satisfying at home and always act super proud of their creations – even if they sometimes look like a bit of a deathtrap! Get creative and use whatever you have lying around the house – pegs, blankets, bedding and washing lines are a great starting point. If there’s enough space, invite some of your children’s friends round and turn the den into a sleepover tent! Hopefully there’s an idea here that you may fancy and I hope you enjoy this next Bank Holiday to the full without splashing too much cash! If you have any other fab ideas feel free to comment below – we’re always up for trying new things. To read more tips or ideas click here. "Wow, May – you were lots of fun!" I am at the beginning of my long summer holidays. Like your suggestions to break the monotony which sets in once the regular schedule goes haywire. Liked the suggestion about time capsule and film festival the most. This is a brilliant post it can be so hard to keep the children busy at times. I have made an assault course in the garden and had limbo competitions. I love doing crafty things like making ornaments with salt dough and making hats (we made an Easter bonnet). I’m totally on board with an assault course in the garden!! Something like Wipeout could be fun! The alphabet photo challenge sounds like a fun way to explore a new place!! These are great ideas for ways to spend time as a family, I personally think it would be a lot of fun to try ziplining! Hi Jo – I hear you, we love a chill out weekend – films, nice food, comfy blankets. Sometimes nothing beats it. And I can imagine living in London is super exciting! I also have one of those “holidays” every few weeks. I call it a “zero day” where I don’t spend any money. I take a hike, go to the beach, window shop at new stores, explore my neighborhood, deep clean my house, read a book I’ve been putting off, or hang out with friends and bringing my own meals. Great ideas, we are in the awkward stage where we have teens and toddlers, so it’s difficult finding things that both groups of kids can participate in and enjoy. I love the photography challenge and time capsule, I will try that! I used to feel pressure to go out of town for the long holiday weekend, but now I just like to stay home and relax. Oh that looks fun, I did Go Ape with my other half before we had Bear : ) loved it! I think the beach is definitely my go to place for any break. I totally agree we should have three day weekends always! Thanks for sharing with #GlobalBlogging! We try not to do too much on a bank holiday normally but this one was crazy busy with plans every day! Love this post. Our family is exactly the same. I end up doing ALL the planning on any days out because my other half rarely has any ideas!! I love thevariety of suggestions you’ve put here because its so difficult to entertain the children during the holidays! Also as you’ve mentioned a lot of things are very costly too! !